The day I returned home from the hospital with my baby was a day like no other. I returned home a mother. Oh! How I was celebrated. The Igbo tradition celebrates every new birth with pomp and pageantry. Other mums danced and sang to the successful birth and newborn. I was very happy and also very appreciative of the goodwill of all women who gathered that day. Then began another phase of my journey to motherhood. I had an amazing aunt-in-law take care of me during puerperium. She cooked and served my meals, took care of my newborn, washed our cloths, gave me the traditional hot water massage on my stomach. In fact, she treated me like a princess. All I did was sleep and breastfeed my baby. God bless her. She taught me a whole lot. I remember spoiling several diapers before I learnt the proper way to change a diaper. 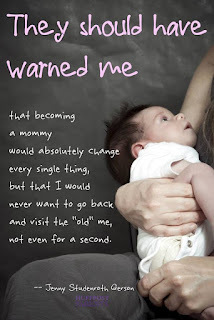 There were several challenges hubby and I faced the first few weeks of parenthood. We were not sure which advice to take and which to discard. There were several unsolicited albeit well-meaning advises. Our decision not to let the baby’s umbilical stump be massaged with hot water was fiercely criticized, so also was our decision to practice exclusive breastfeeding. I remember several mums telling us we are making mistakes and reminding us how experienced in child birth and rearing they are. One even asked if our mums gave us breast milk alone. They said our baby will suffer from dehydration Oh! How much information they need. We didn’t know how to handle certain challenges that came with the newborn. Our little one cried so much at nights for the first few weeks; he would be so inconsolable for hours till he is tired and would sleep off. I used to get scared once night comes. Till now, we both have not figured out why he cried those nights. About two weeks after birth, I noticed our baby writhing in pain; this was explained to be gas and also normal but I couldn’t really stand it. Prescriptions ranged from gripe water to bitter kola. I noticed the pain had a pattern. It happened anytime I consumed any dairy product; I also noticed it the day I ate food containing cabbage; these I ruled off my diet till he was about three months old after which I gradually re-introduced them. Nursing mums are made to believe drinking tea increases their milk supply; I am yet to see any research that backs that up. Baby developed diaper rash few days after birth, at our first immunization appointment I was told it was caused by my using talcum powder when changing his diaper. I started using petroleum jelly and that took care of the rash. Looking back now, I realize a lot of misinformation exists. We unknowingly expose our babies to risks. Why would we give our baby’s umbilical stump hot water massage? Why would we let our babies be thrown up and down in a kind of acrobatic display they claim makes them fearless? Why would we be giving our babies bitter-kola water to reduce gas? Why would we add steroid-containing creams to baby lotion to make their skins smoother? What exactly is Jedi Jedi and why do we believe only alternative medicine treats it? Why should we be restricted to certain types of food during the puerperium? I had (and still have) too many questions.